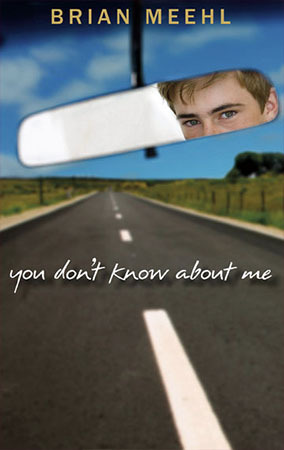 Sixteen-year-old Billy Allbright is about to bust out of his sheltered cocoon and go on a gonzo road trip. He just doesn’t know it yet. His ticket to freedom? A mysterious Bible containing two resurrection stories. The second is about a man Billy’s never met, and is supposedly dead: his father. But the road to a risen-from-the-grave dad, and the unusual inheritance he promises, is far from straight. Billy zigzags across the American West in a geocaching treasure hunt. When his journey includes a runaway baseball star, nudists who perform sun dances, a girl with neon green body parts, and con artists who blackmail him into their “anti-action movie,” Billy soon realizes that the path to self-discovery is mega off-road. “Many remakes of classic stories stay so close to their source texts that it seems pointless not to simply read the original. Others use their source text as a thin veneer in an attempt to lend some gravitas to the new, decidedly lesser production. Sometimes, though, the remake gets it just right—not only adopting the plot and character arcs that made the first book great but also manipulating the style and sensibilities of the source text to refresh and renew our acquaintance with it, all while creating a story that stands alone on its merits. You Don’t Know about Me, Brian Meehl’s revision of Huckleberry Finn, is one of those. Billy Albright has been reared as a Christian outlaw, following his fanatical mother in her quest to stamp out the devil wherever he may show himself, from protesting at gay weddings, to taking a Sharpie to products in the grocery store containing the word “devil,” to shaving the heads of Tickle Me Elmo dolls (whose Satanic crime is that they teach kids about unbridled pleasure). They call themselves “Jesus-throated Whack-a-moles,” and they are rare birds indeed. But when a Bible arrives in the mail with a DVD hidden in its leather binding, Billy finds out that his righteous mother has been lying to him about his father’s having died when Billy was a baby. Instead, his father, now dying and, if the video can be believed, probably already dead for real this time, has staged a cross-country geocaching treasure hunt for Billy to find his inheritance—the copy of Richard Irving Dodge’s Thirty-Three Years Among Our Wild Indians scribbled through with marginalia by Mark Twain, including plans for a never-finished sequel to Adventures of Huckleberry Finn. Billy runs away to follow the clues, and his quest becomes a twenty-first-century mirror of Huck’s as he takes up with Ruah, a black baseball player with a big heart and a big secret. From Billy’s wide-eyed naïveté, to his and Ruah’s inventive use of vernacular, to their intense questioning of religion and the social mores of the day, to Billy’s nuanced crisis of faith when he finds himself in the hands of con artists who mock Native American beliefs while rendering them beautiful, Meehl’s engagement with Twain is flawless in all of its layers and facets. Brian Reads “Satan Out of Piggly Wiggly” from You Don’t Know About Me.